Don't be late! Make sure your guests are on time to your big ball (or performance!) with the Cinderella Invitation. 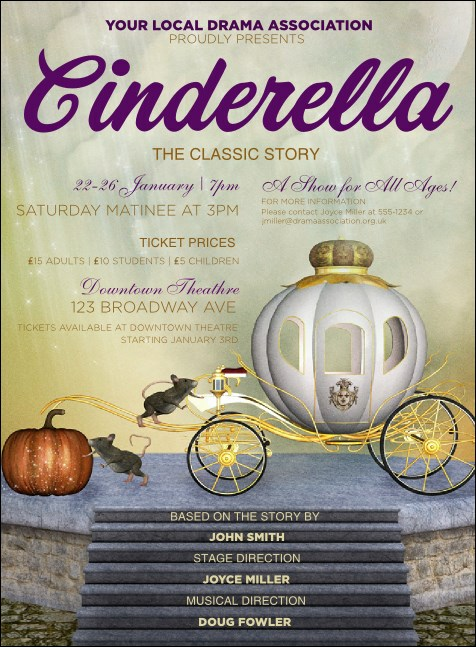 This sweet design template works for theater productions or fairy tale themed parties! Pair with a Matching Event Kit for coordinating posters, tickets and flyers. RSVP to your important events with the right invitation from UK Ticket Printing.